Anyway these little cuties were super simple to create. 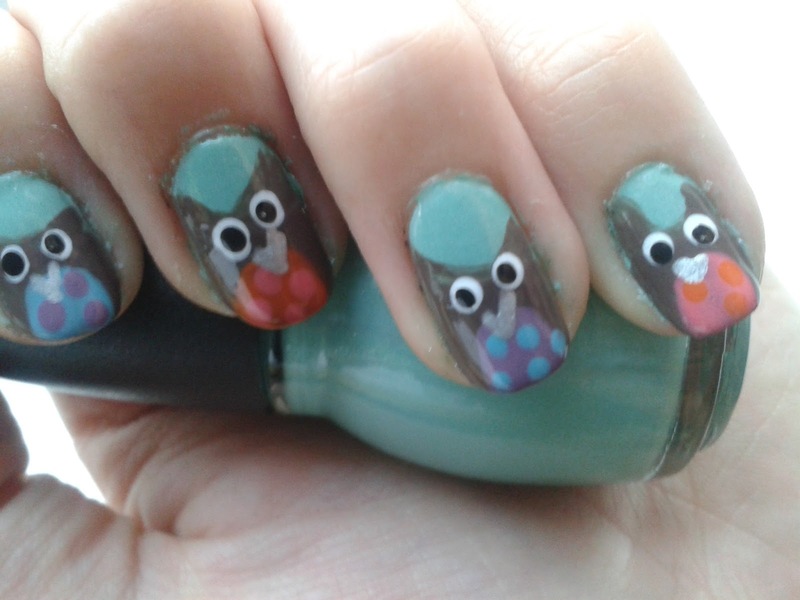 I started with a base coat of Sinful Colours Mint Apple, then taped it off and used Butter London TeeTotal brown that I picked up in TK Maxx for the tips. For the wee ears I used a small paint brush and some more TeeTotal. 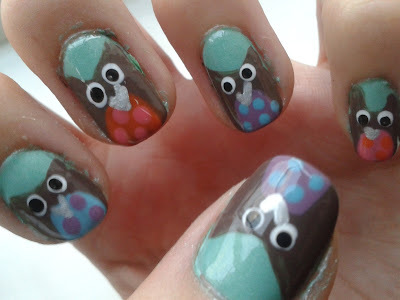 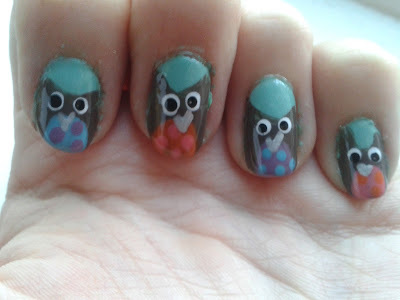 I tried to round off the middles but I made a bit of a mess ..
Hope you like my little hooters (lol) as much as I did!